Grey Heron Media, Lower Main Street, Kilfinane, Co. Limerick, Ireland. 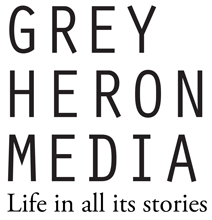 Grey Heron Media makes award winning audio and film rooted in community, informed by location, and driven by human interaction, from our base in the mountain village of Kilfinane Co. Limerick, Ireland. Multi-award winning radio features listened to across the world. Using sound, image, and story to strengthen communities in practical ways. Commissioned immersive experiences that change perspectives, distill truths and delight. The world's finest audio makers take over our mountain village to celebrate and inspire creative audio.